I'm sorry I never got to know Trayvon. And I never will. He was a handsome kid. We heard he had taken a lengthy walk to a convenience store to get some candy for his new little brother-to-be. We saw a picture of him on a horse at some occasion with his family. We've seen his clear gaze while wearing a hoodie. We've seen his happy, smiling face posing with his mother. We've seen Trayvon's biological parents day after day since their son's killing, and damn if they don't seem like decent folk. Tracy and Sybrina Martin's demeanor during what must have been agonizing days, weeks and months since Trayvon's untimely death has been nothing but remarkable. Composure. Grace. Generosity under the circumstances I doubt I could muster. You can tell a lot about a person by their family. I'm sorry I did get to know George Zimmerman, and his family. His father and brother have been outspoken, even disgusting in their comments. Zimmerman's wife was an accomplice in trying to help her husband hide income donated through a Web site. George Zimmerman is someone with little self-control, someone taking serious drugs, someone who obviously wanted to take it on himself to make this neighborhood free from young blacks. George Zimmerman was someone with a history of violence, intoxication and menacing behavior. George Zimmerman was never contrite that I saw for the actions he took that ended Trayvon Martin's life. He told Sean Hannity he wouldn't have changed a thing. He said what happened was God's plan. For someone to say that, it tells me George Zimmerman believed himself to be an instrument of God, delivering final retribution on a fellow human with God's blessing. I just don't believe that. I don't believe any of us can say that what we do, ordinary or extraordinary, is endorsed, approved and applauded by God. 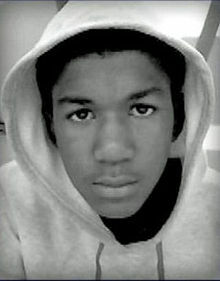 I'm so sad I never got to know Trayvon better. May he rest in peace. I'm also seriously disappointed that George Zimmerman never testified. May his conscience awaken at some point, and nag him without mercy. It has obviously not kicked in yet. This whole case makes me cry.